Did you know that you can drive up North to Liberec, ski the whole day, put your kids to skiing school with an English speaking private teacher and be back home in Prague by evening. No gear needed, they have it all. Or, book accommodation and enjoy a nice weekend. 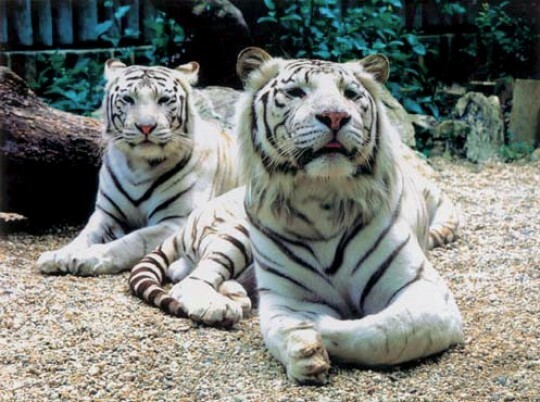 Apart from skiing, Liberec offers the Babylon Aquapark as well as a famous ZOO with white tigers. We had an amazing time, full of nice memories so let me tell you about it. I am quite lucky because I have a cousin in Liberec with a house, so I have a place to stay. But even without such a possibility, I would drive up there with the boys just for a day of skiing. Liberec is a popular city North of Prague in the direction of Mlada Boleslav the whole journey is on freeway and the exit towards the skiing slope named JAVORNIK is right at the beginning of Liberec, exit 26. There are 2 slopes actually, Javornik and Jested. We have only tried Javornik because we were told its more family friendly with a ski school for kids and all the facilities. Jested is a very famous hill overlooking Liberec, with a TV tower and restaurant right on top. If you go to Liberec, you will see it and should visit it. Back to skiing. We have all the gear, but you don’t have to have it as you can hire everything there. Rental prices for a whole set of gear for kids and adults is listed below in the info section. Even if you don’t ski and just want your kids to experience it, book a English speaking Instructor for 2-3 hours for 440czk per hour and find a spot in the bar right on the slope. I am telling you, its so much fun. The 440czk fee per hour is per child but if you wish the same instructor to have 2 kids, you will pay 240 CZK for the second child. But I would recommend two separate instructors because it is not expensive and gives the children an excellent opportunity to learn. They will give you a pay slip in the school office - which is in the main building where toilets and ski rental is right next to the lift. You have to pay the amount at the Cashier - POKLADNA and show the receipt to the instructor who is waiting on the slope in front of the Kids section. They all have red jackets with a Ski-School logo on them. After 2 hours with individual instructors we took the boys up the 4 seater chairlift and slowly skied down. Marcus managed to hold on to his stocks and make some turns!!!! I was so proud of him. Never mind my sore back afterwards. It was so worth it. We fed the boys lunch in the mountain bar. The food there is sufficient and boys had chicken nuggets made from real chunks of meat, no minced meat stuff. Everybody there was so nice and friendly. The waiting time for the chairlift was 10-12 min on the weekend. I have been told during week days you hardly wait. The skiing ticket is cheap, for 3 hours we payed 200 CZK per adult. 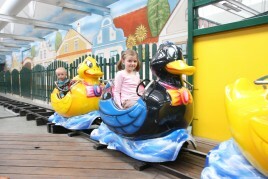 Child up to 140 cm pays 150 CZK per 3 hours. The lift goes from 09:00 to 16:00 and again from 18:00 - 21:00 for night skiing. IT WAS SO ROMANTIC - the night skiing I mean. We waited in ther bar with food and hot wine and when 18:00 came we left the boys with my cousin and went skiing. The atmosphere was magic. Everything was sparkling in the lamp light and I felt like I was in a fairy tale. Mulled wine had nothing to do with it! Right there on the slope is a Bobsleigh as well. It is the best one I have ever been to. It was - 9C and we went. Got a bit frozen but was worth it. We will be back in summer time to enjoy it again. Liberec itself is a interesting place to visit anyhow. They have a big Aquapark called Babylon with other attractions within the huge building. To my knowledge there are many nice shops and boutiques, IQ Park for kids, Bowling, kids castle, Lunapark (amusement park) and many others. Also a hotel within the Babylon complex. Babylon is very close to the slope so you wight as well stay there for a weekend and go swimming after skiing. We have been to the Aquacentre once, last year and it is good. You have to prepare yourself that it was built 15 years ago and it isn’t sparkling with novelty. I would rather go to Aquapalace in Prague. But once you are there you might as well do it. In the warmer months you should visit the Liberec ZOO. Its huge and the only one in Europe with White Tigers. Even a Liberec Hockey team is called White Tigers - they are so proud of it! Don’t hesitate to try Liberec. It’s 1st Feb today and I am looking outside the window in Prague and YUCK, its ugly and dull. I just had a call from my cousin. They are going skiing because it it so sunny and nice up there. If I wasn’t so busy I would grab boys and go NOW. Have fun !!! DIRECTIONS: When you go by car form Prague, go towards Mlada Boleslav, Liberec. You will exit Prague at Cerny Most Prague district. Keep on going on a high way No. : E65 which will change eventually to E442 towards Liberec. When you start approaching Liberec, look for exit No. : 26 towards: DLOUHY MOST, SIMONOVICE, DUBI II and Liberec-Vestec. Once you get off the main road there will be sighns to JAVORNIK. It will take you another 3 km to get to the bottom of the slope.